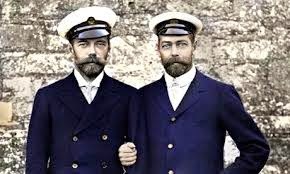 At the outbreak of World War I, three cousins reigned over Europe’s greatest powers – Tsar Nicholas II of Russia, Kaiser Wilhelm II of Germany and King George V of England. This two-part series looks at the role played by the three monarchs, and their relationships with each other, in the outbreak of war. Mismanaging their countries and mishandling foreign policy, they failed to adapt to the forces of nationalism and democracy, and so brought tumbling down their own ideal of a Europe governed by the descendants of Queen Victoria. While it was war that delivered the final blow, this fascinating series shows how the problems had set in much earlier. 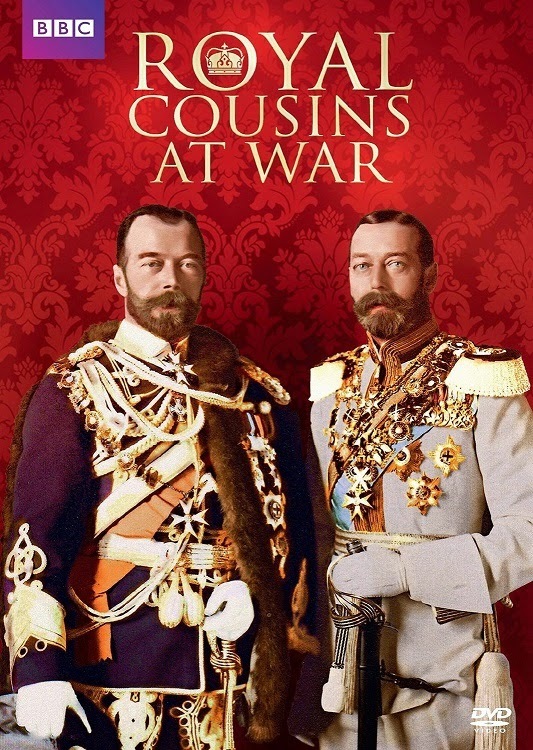 Told through letters, photographs and video, Royal Cousins at War is a very good history of the three most important rulers in Europe over the last few centuries – King George V, Tsar Nicholas II and Kaiser Wilhelm II. The two part series tells of the rise of these three kings through the onset of World War One in 1914. 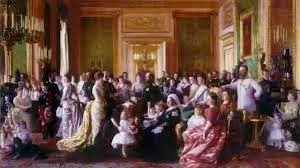 Part One: A House Divided – In part one of this two part series, scholars and historians look back at the late 19th century/early 20th century rise of Europe’s monarchs. This hour-long episode narrates the lives of Kaiser Wilhelm II, King George V, and Tsar Nicholas II. 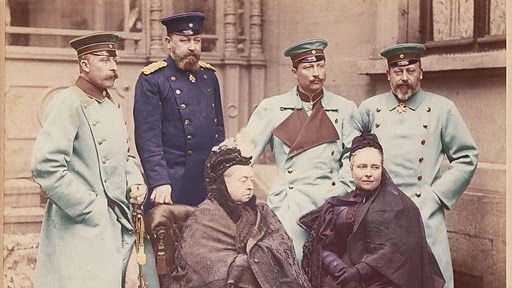 From their births, to the death of their grandmother, Queen Victoria of England, Wilhelm, George and Nicholas had quite the hot and cold relationship. 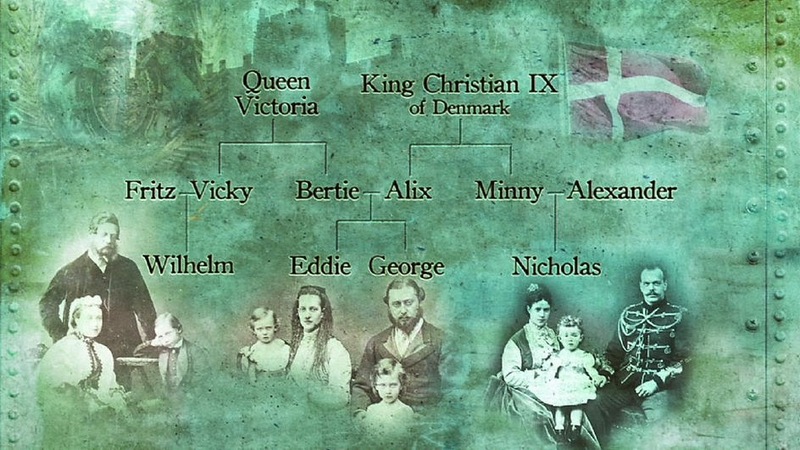 Wilhelm, being German was seen as the outsider after the takeover of parts of Denmark and was not invited to the royal summer gatherings. As he grew, Wilhelm, who was born with a disability, jumped from Russian alliance to British alliance, and only tried to fit in with his much more popular cousins. When Tsar Alexander, Nicholas’ father died, Nicholas ascended to the throne at the age of 26. He felt he was not ready, but was coronated next to his wife, Tsarina Alexandra, another of Queen Victoria’s grandchildren. The Tsarina was born German, so Wilhelm believed her loyalties should lie there. However, Alexandra considered herself British, and shunned Wilhelm and the Germans. When Wilhelm’s father died, he ascended to the throne, but became a reckless king. As Queen Victoria grew weaker, Wilhlem rushed to her side and was with her when she died. With Queen Victoria gone, the family dynamics changed. Part Two: Into the Abyss – Part two of the series the scholars and historians continue discussing the lives of Wilhelm and Nicholas. As the two royals grew older, the cousins grew apart as Nicholas begins a war against Japan in the beginning of the 20th Century; Nicholas’ reign barely survives a civil war; and Wilhelm continues trying to fit in to his family. 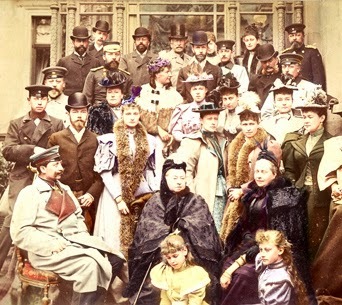 After the defeats in Japan and in the civil war, Nicholas retreated to his home in St. Petersburg with his family. Shown through personal family home videos and photographs, Nicholas was a true family man. When George V ascended to the British throne, Nicholas was the first to write him a letter of support and advice. As time passed, the reigns of these three cousins and monarchs, clashed until world events resulted in World War One, and each monarch had to choose a side… which for Nicholas, ended with his and his family’s execution in 1917. I really enjoyed this series. As someone who has extensively studied Russian history, I found the use of the letters, photographs and home videos interesting and eye-opening. The narration was great, and the stories told flowed perfectly with the old information. Many times, with documentaries, there are terrible reenactments, but this was not the case. There were no reenactments, only comments from scholars and historians supplemented with the narration, photos and other media available. The 16x9 anamorphic wide-screen presentation of Royal Cousins at War was very good. The use of film and photographs more than 100 years old was wonderful. The picture was clear and the colors in the interview portions were sharp and bright. The stereo presentation of Royal Cousins at War was good. The narration was clear and concise and the volume level was very good. The reading of the private letters between the royals was good and the use of the old film sound was really clear. English SDH subtitles are also available, if needed. There are no special features on the DVD. Because of the lack of special features, the score is lower than I think it should be. But taking all aspects into account, the score is lowered. However, BBC puts out great documentaries and I always enjoy watching them. They are interesting and educational and definitely hold my attention. 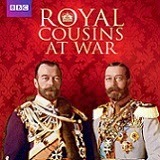 Royal Cousins at War is a documentary I will keep in my library and watch again. For history buffs, this is a great one to watch!